Node Haven was made to correct a problem with cryptocurrency mining. For example, the main problem occurred during the growth of Bitcoin mining difficulty. So far there are only 4 ASCI crypto-ming manufacturers that give out products to help users mine. However, they tend to sell out within hours of release. node haven icoNode Haven solves this problem by tokenizing the ASIC miner manufacturing and development process. The model is decentralized and acts on the miner’s best interests as opposed to the ship operators. The mining community needs a better mining option, and Node Haven, assisted with miners worldwide, will help decentralize the mining world. Replacing Traditional Business Models: Most of today’s business models act against the very nature of decentralized cryptocurrencies. 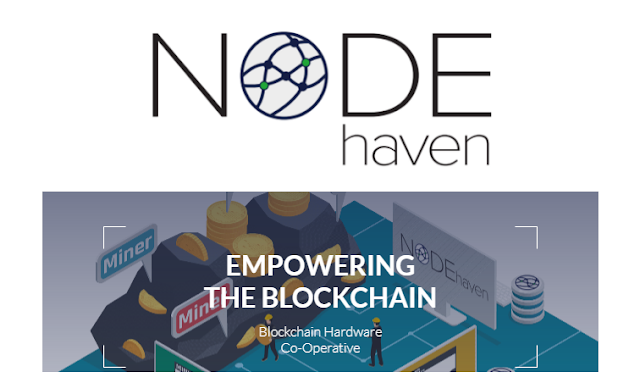 Node Haven helps by making the ASIC mining equipment more accessible and decrease the equipment prices to help users mine with ease. 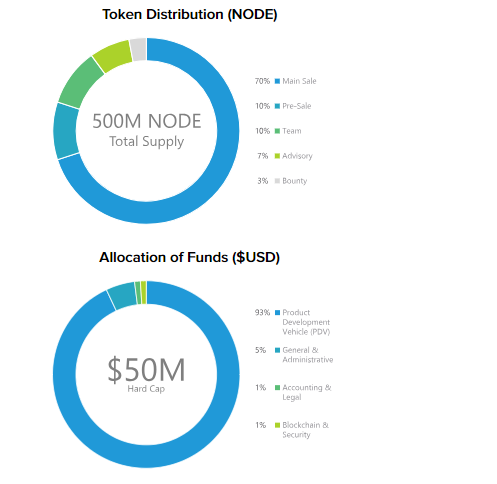 NODE Token: Miners can buy Node Haven’s native currency (NODE) via crypto or cash. PDV: With Node Haven, we can see that the project will help everyone start getting into crypto mining. In addition to its acceleration of development, Node Haven will fund the production and development of ASIC miners through the use of a Product Development Vehicle. The PDV works when users buy NODE tokens during the token sale. Node Haven will use the funds from their first sale to create a 7 nm ASIC miner. As time progresses, the Bitcoin miners can be reserved via NODE token. In addition to development acceleration, the PDV model gives manufacturers the incentive to sell their goods at the lower price to the consumer. Thus, users are able to get a have a reliable system that benefits both consumers and producers by making them work together. Accessible Mining Rigs: Node Haven promises to give their users a decentralized system where the mining rigs are available for any user that’s planning to obtain cryptocurrency. ROI has Stored on Token: Node Haven’s token has the same ROI as the ASIC manufacturers themselves. Quick Development Time: Node Haven’s mining rig development time will take up to 7-11 months. This is faster than other manufacturers and is more cost effective due to its lower prices. MVP Not Available: It would be great to see a Node Haven mining rig fully launched so investors can take this project seriously. Whitepaper: While the whitepaper does fully explain Node Haven, it might be harder for first-time investors to digest due to its complex technical writing. he ICO has been structured to give the best opportunities to anyone who would like to participate from the very beginning, providing maximum flexibility and control for the participants.